Get top quality custom flags for your business, club, civic organization, or church. Using your graphics and design input, we do custom flag printing that can't be rivaled. We print these vibrant, full colour flags on a polyester weave fabric to give your design a solid colour base that will make your flag glorious! 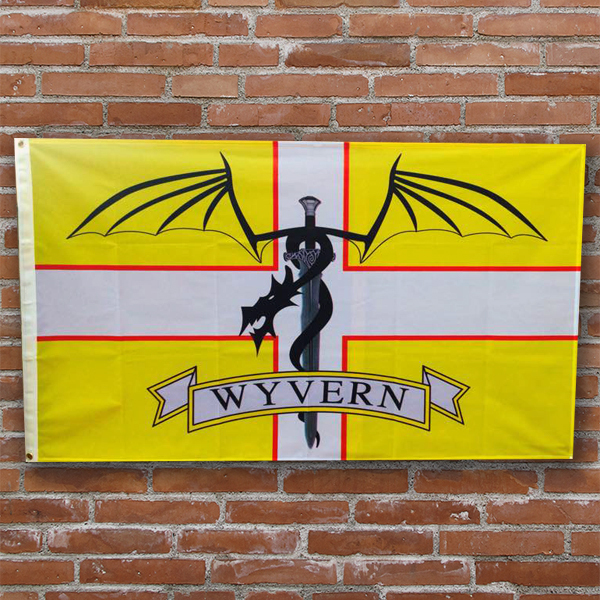 Get your custom printed flag here with our free online designer, or even upload your own artwork. We print these great looking flags on a polyester weave fabric to give your design a solid colour base to make your printed flag look glorious in all its colour. With some options avaible for the finish style of the flag, click on the extras and custom it your way.